For these people horses are not just animals – they are friends and their passion! Shannon was born and raised in Montana, and spent her summer vacations on her grandparent’s farm in Eastern Montana where they raised horses, cattle and sheep. This is where she truly found her passion for animals. After leaving home, Shannon spent 15 years in the Greater Yellowstone Area, living and working in Yellowstone National Park for a couple summers, then went on to work at Grand Targhee Ski Resort. In her spare time she volunteered at local animal shelters, which fueled her drive to work with animals. After moving to Spokane in 2015 Shannon started searching for a career where she could pursue her passion of veterinary sciences. In 2016, she was hired on with McKinlay & Peters. In her spare time she enjoys spending time outdoors with her family (and two labs), camping, skiing, hiking, kayaking, and traveling. Megan grew up just outside of Los Angeles, CA. She spent many years playing soccer and riding in a mounted drill team with her horse Kelly. 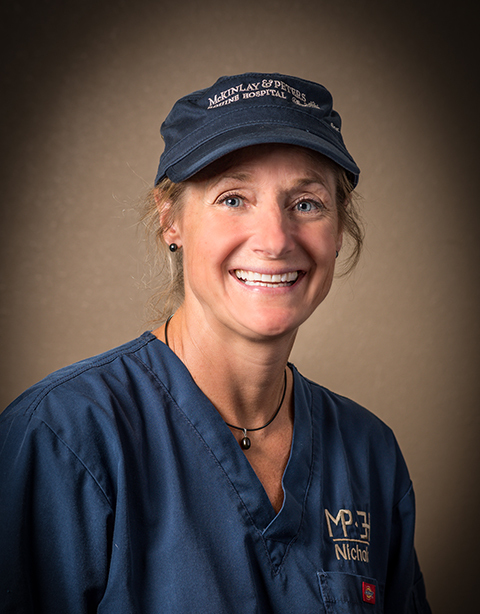 With her strong passion for animals, Megan began working at small animal clinics and did so for the next 20 years. She spent the last several years working for a small animal specialty hospital in the surgery dept. After making the move to Washington in the spring of 2016, Megan decided that the equine world is where she wanted to be and she joined the MPEH team in March of 2017. When she is not at work, Megan enjoys spending time outdoors- camping, scuba diving, traveling abroad and of course spending time with her animals. Brandi Wurtz was raised on a small farm in Coeur d' Alene, Idaho. She spent all her time on horseback exploring back country trails with her dad or participating in various horse events. Brandi's love for horses carried her on to obtained her veterinary technician associates degree through Penn Foster College. She has been part of the McKinlay and Peters team since May of 2012. She enjoys assisting Dr. Schneider with lameness exams and in the surgery room. When Brandi isn't busy working at the clinic, she is spending her time with her family. Husband Tom, daughter Haylie, and son Clayton all share in her love of anything out doors. Her daughter has her passion for horses and together they participate in trail challenges and other riding events. Nichole grew up riding horses in the mountains of Northern Idaho. Her love for horses came early and naturally for her. Nichole first worked in the veterinary field at a mixed animal practice for 3 years, until she had her son. Riding bikes and horses with her son Mussy are some of her favorite activities. Though all horses are special for her, she has a passion for the pure Spanish horse (Andalusian), and has been a breeder for 17 years. Nichole joined McKinlay & Peters in March of 2008 and enjoys her work deeply as a continued source of connection with the equestrian lifestyle. Morgan was born & raised in North Spokane where she developed her love for horses. Morgan spent many years working as an instructor & trainer for beginner riders, where she watched many young people progress into competent horse people. 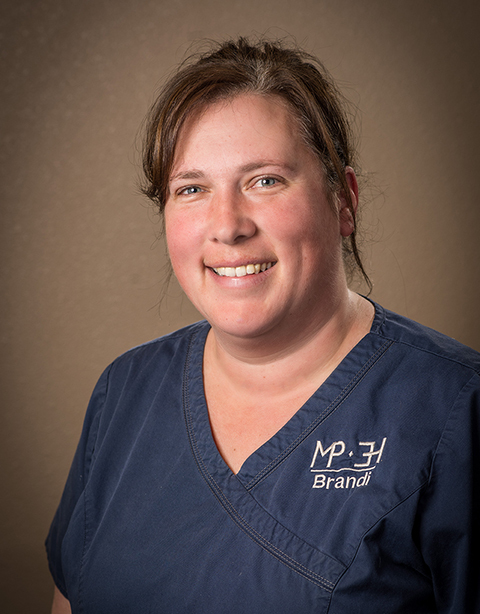 Now working at MPEH she enjoys being part of a team that is dedicated to improving the lives of horses. Horses give so much to humans & working at MPEH gives her a chance to give something back to them. Outside of work & horses Morgan enjoys anything that keeps her active. Her spare time is filled with anything from gardening to bike rides, or taking the dogs for a walk. Jessie was born and raised in Spokane Washington where her love for horses began at a young age. She was a member of a 4-H club growing up and participated in the local county and state fairs. In her spare time she loves to go hiking, camping, snowboarding, and trail riding on the weekends with her horse Queso. She also works with the local fire department responding to fire and medical emergencies. Jessie joined the Mckinlay and Peters Equine team in February of 2017 where she enjoys learning about and assisting equine reproduction at the Colbert clinic. She wants to increase her knowledge of equine medicine and eventually continue her education. Rachel grew up on a small farm on the outskirts of Post Falls, and has always been passionate about horses and just animals in general. She was a member of 4H for 10 years and still calls the fairgrounds home during the last few weeks of August each year. After serving a stint in the military she decided Post Falls is where she wanted to be and joined the McKinlay and Peters team in September of 2014. As well as working closely with the doctors, Rachel is also a part of the MRI team. She prefers the outdoors to just about anywhere and is always looking for the next adventure either trail riding or backpacking. 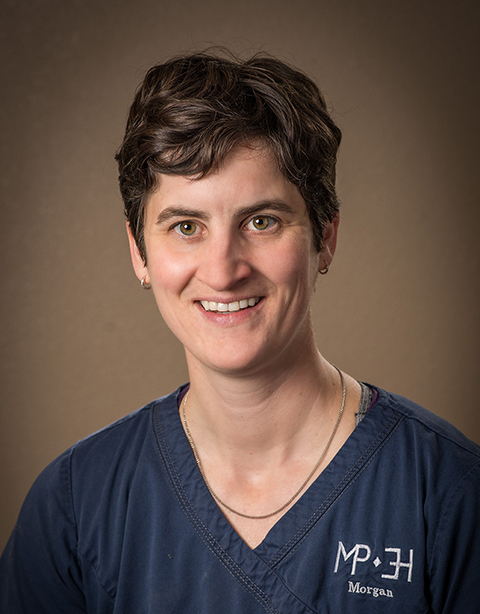 Ruth was born & raised in the Chicago Illinois area and after attending college for a brief time, moved to the Pacific Northwest (Puget Sound area) to work as a Pharmacy Technician. During this time she met her husband Frank with whom they have raised two grown children and just celebrated their 34th wedding anniversary. Ruth has always had a love for animals – from an incident as a teenager where she helped a mother duck with her ducklings cross a crowded Illinois arterial-to her two pets at home; she has always had a passion for animals. Her previous job gave her the opportunity to work with many local veterinary clinics and inspired her to get more involved in caring for animals. When Ruth is not at work in the Pharmacy at MPEH, she is outside in the early morning running. Those who know her well enough know that she is always running. 5k’s, 12k’s, 30k’s and half marathons have kept her feet moving forward. When she is not running, Ruth is usually out for a walk with her spastic golden retriever Macy. What’s next you ask? Well, it’s a toss-up: either a full marathon or skydiving. Go Ruth!